Our shallowest cup with an open entrance to the throat producing a bright and edgy sound but with good response. This is similar in depth to the MV, but in a bowl-shape. This helps to create a very versatile cup for all-around playability. The MB is the choice of the player needing more support, but the ML cup is too open. Medium-depth cup in a V shape. This helps create a free feeling mouthpiece because of the very efficient nature of the cup. The response is quick and the sound can be darker in quiet dynamics, or brighter in louder settings. This is the standard cup depth/shape within the Hammond Design line. This cup is unique in that it offers the depth of sound of a bowl-shaped cup, but quick response and free playability of a V-shaped cup. Same cup and rim as above, but with a 24 throat and #3 standard backbore, for an even more focused sound . Good for C trumpet. A deeper V-style cup for an extremely large, deep sound, but with balancing that aids in creating easier playability for a cup so large. 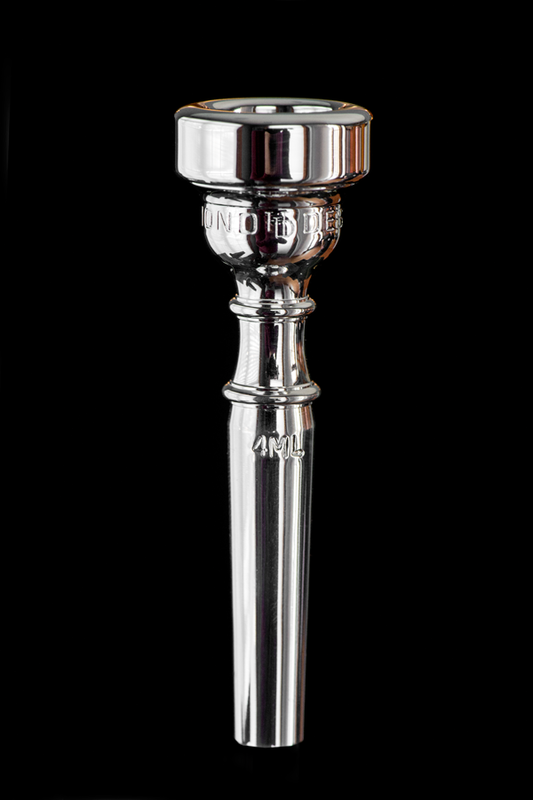 This deep, flugel-style cup, commonly referred to as the "fluffy", is utilized in the Bb and C trumpet for the situational playing requiring a distant or extremely dark sound. 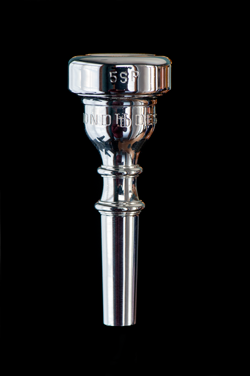 Because of the openness of this mouthpiece, we made it shorter for better intonation. * These charts are not based on other manufacturers number, but how the piece would crossover to the corresponding Hammond Design diameter. 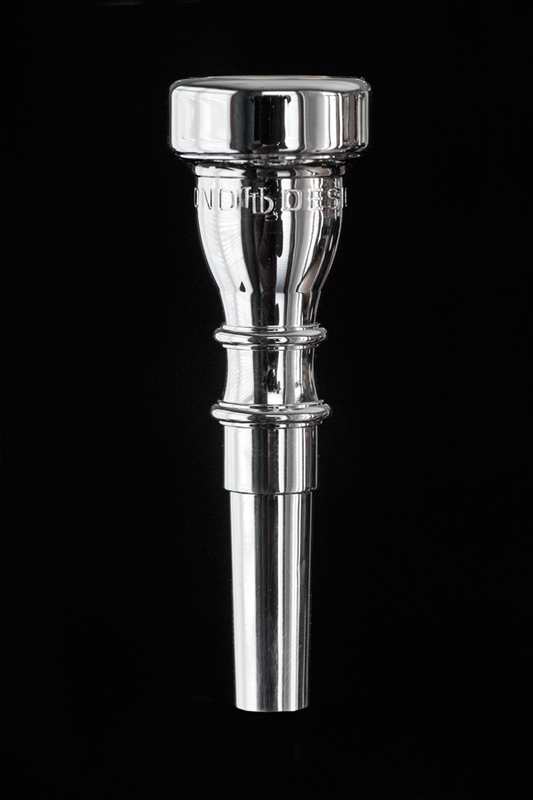 This is based on the feel and the blowing characteristics of the mouthpiece. This is also based on years of assisting players in this very matter. The same shape of the #2 is there, but with added openness and contour in the top of the backbore for a more open feel. More contour in the midsection of this backbore that opens it up further for a darker sound. This is the full symphonic backbore that carries the same concepts further for an extremely dark, open sound.